Ever increasing technological and environmental needs pose significant demands on the removal of unwanted material from substrates . Laser irradiation has been shown to afford a highly effective method for addressing these problems. The three schemes examined include coating removal in a layer-by-layer approach, selective removal of surface impurities , and particle removal. The basic principles underlying these processes are presented. Particular emphasis is placed on the side effects of these procedures, since these will determine to a large extent the success and the wider acceptance of laser cleaning schemes. 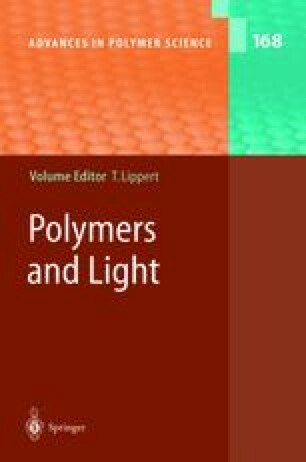 Elucidation of these effects is also of scientific interest, since they are intimately related with the nature of the processes underlying the interaction of intense laser pulses with molecular/polymeric materials. To this end, these effects are systematically addressed in experiments involving model and realistic systems and are exemplified in the particular case of laser-based restoration of painted artworks. It is shown that, with proper optimization of the irradiation parameters, the side effects of laser processing can be minimized and be inconsequential for substrate integrity. Thus, at least for certain cases, laser cleaning schemes may be a highly effective, accurate, and safe method providing specific advantages not only over conventional methods, but also over other emerging competing methods. The author would like to thank G. Bounos for his critical help in preparing this manuscript. The work was supported in part by the Ultraviolet Laser Facility operating at F.O.R.T.H. under the Improving Human Potential (IHP)-Access to Research Infrastructures program (contract No. HPRI-CT-1999-00074), the Training and Mobility of Researchers (TMR) program of the EU (project No. ERBFMRX-CT98-0188), and the PENED program (project No. 99E D 6) of the General Secretariat of Research and Technology—Ministry of Development (Greece).